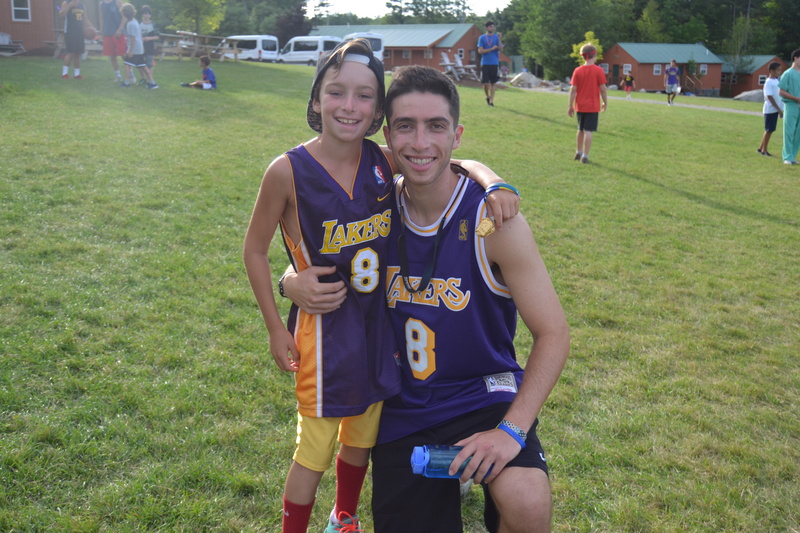 Today, campers experienced their first “A” day on their schedules for Second Session. Walking around camp, you could hear friends cheering each other on as they braved the Warped Wall, the swish of basketballs falling through the net as campers practiced shooting, and squeals of laughter as campers jumped off the trampoline into our scenic waterfront. 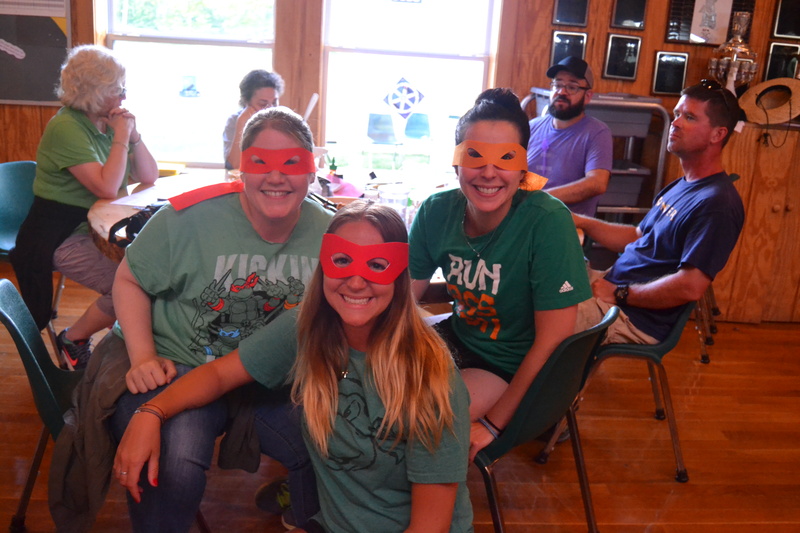 As we took a break from activities for lunch, we were reminded during announcements that we would be enjoying a Toys and Games Theme Dinner later that night. 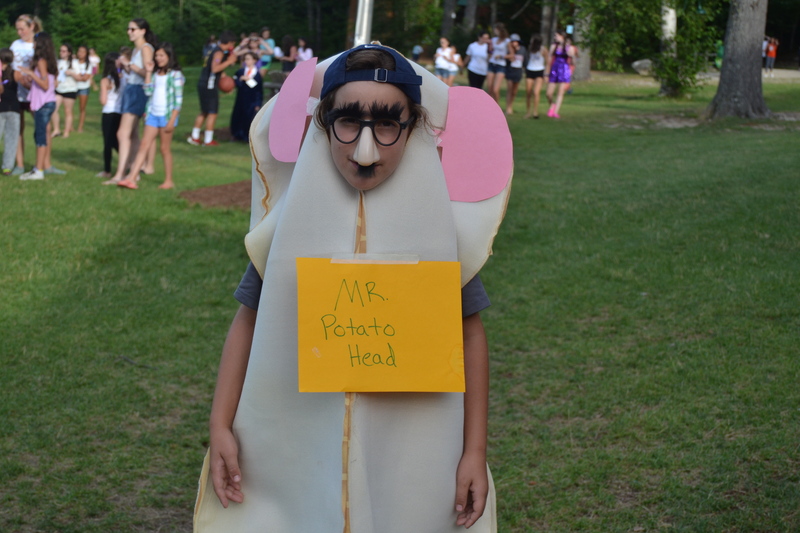 During rest hour, campers cleverly thought up and constructed costumes to don at the big bash. 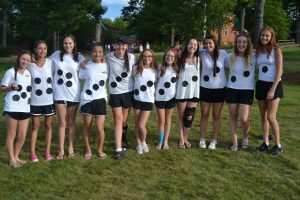 A whole bunk of dominoes and a bunk dressed as all the Monopoly pieces showed up to flag lowering ready to get the party started. Looking out into the crowd of smiling faces as we sang Oseh Shalom, you could catch glimpses of beanie babies, all four Ninja Turtles, Mr. Potato Head, some Legos, My Little Pony, and all the G14 counselors dressed as a tic tac toe board. Campers were excited to file into the dining hall and see placemats filled with silly games alongside cups of crayons out on the tables to work on throughout the meal. 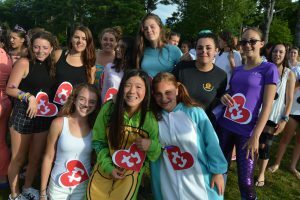 Everyone had a great time at this theme dinner! 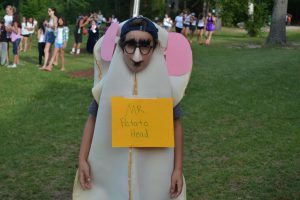 During evening activities, some campers created skits using “Story Sticks” while others were invested in making dream catchers using found objects in nature. It was yet another jam packed day filled with fun here at Micah and we look forward to waking up and getting to do it all over again tomorrow!